A Mixed Greens salad that will blow your mind. Roasted sunflower or pumpkin seeds soaked in tamari, set off by this great tasting and exceptionally healthy Lemon Vinaigrette. Ready in approximately 20 minutes! 5 Handful large handfuls of Mixed Greens baby spinach, Kale, Arugula etc. Put pumpkin or Sunflower seeds in a skillet and toast over medium heat. With a wooden spoon (or similar) constantly stir seeds the entire time until they turn golden brown and take on a nice aroma. Remove from the skillet and pour onto a large plate and immediately add two teaspoons tamari to the hot seeds, mix it in and allow to cool. Soak greens in a vegetable wash and thoroughly rinse. (Optionally pat dry). Pull any larger leaves into bite-sized pieces and place in a large salad bowl. Add all other salad ingredients.. Gather the minced garlic, sea salt, vinegar, chopped red pepper, honey/maple syrup and 1/2 or the lemon juice pour into a bowl, except for the olive oil and stir the ingredients. Then add lemon juice and salt to taste and tartness. Add the tamari roasted sunflower or pumpkin seeds then set aside. 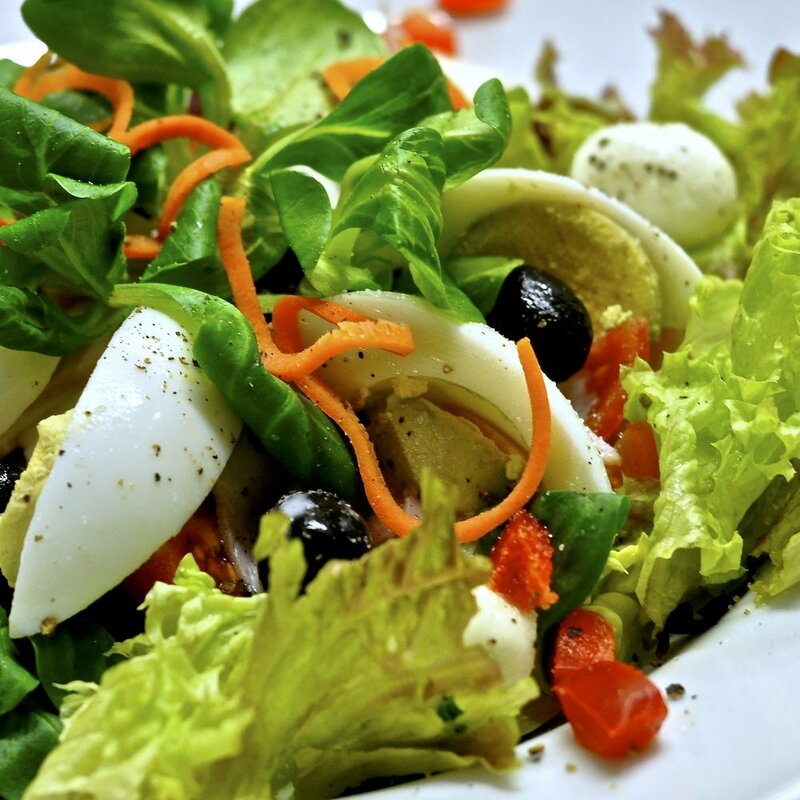 Add the dressing toss well, then add the sliced eggs and olives immediately before serving. Enjoy your Mixed Greens Lemon Vinaigrette and Roasted Tamari Seed Salad!